New studies are blaming smartphones for the steady decline of the dedicated camera market, especially on the classic point-and-shoot. Pictures and videos are now ubiquitous on smartphones. Whether they are used just for selfies or even for professional use, 63 percent of smartphone users of at least 14 years of age have shared pictures on Facebook, Flickr, Instagram, Twitter, or other applications. 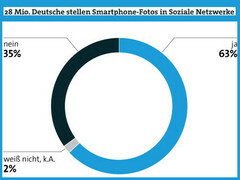 The survey, conducted by Bitkom, shows that smartphones are no longer just phones, but are now used to take photos quite frequently. A staggering 99 percent of respondents of at least 14 years of age have admitted to using their smartphones as cameras compared to just 38 percent in 2011. 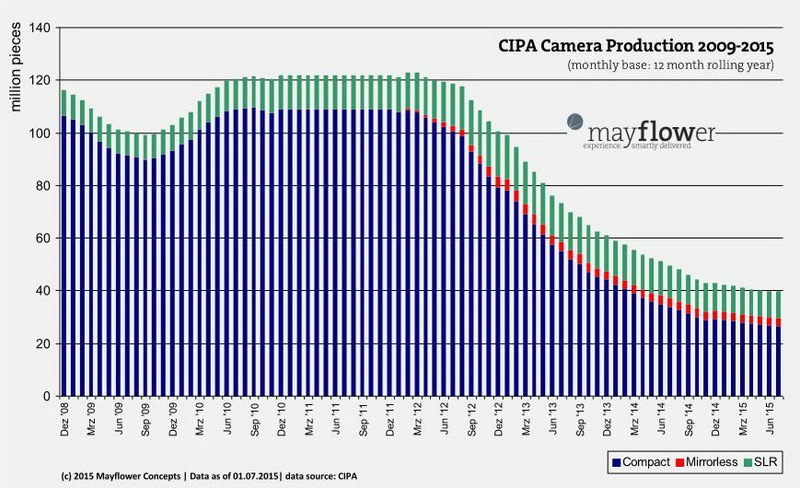 The impact of this trend on the traditional camera market is significant according to the latest data from the Camera and Imaging Products Association (CIPA). 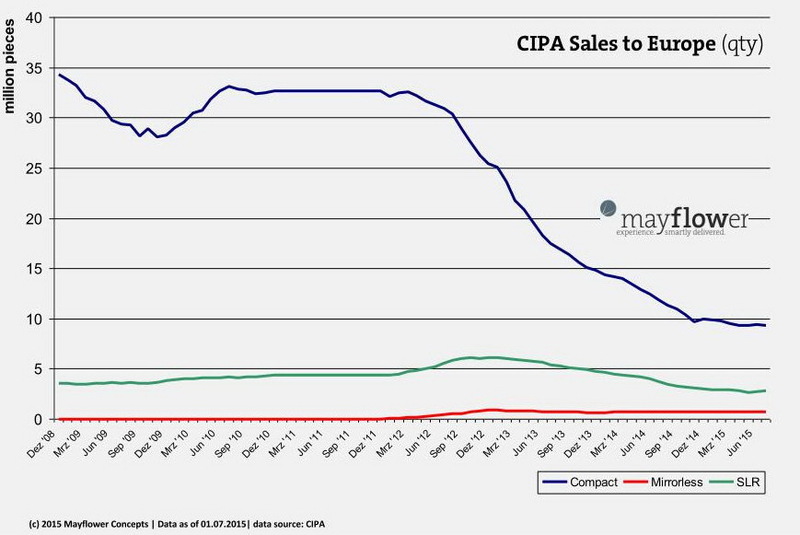 More specifically, production of traditional compact cameras have declined from more than 100 million units in 2011 to just 20 - 30 million units as of June 2015. 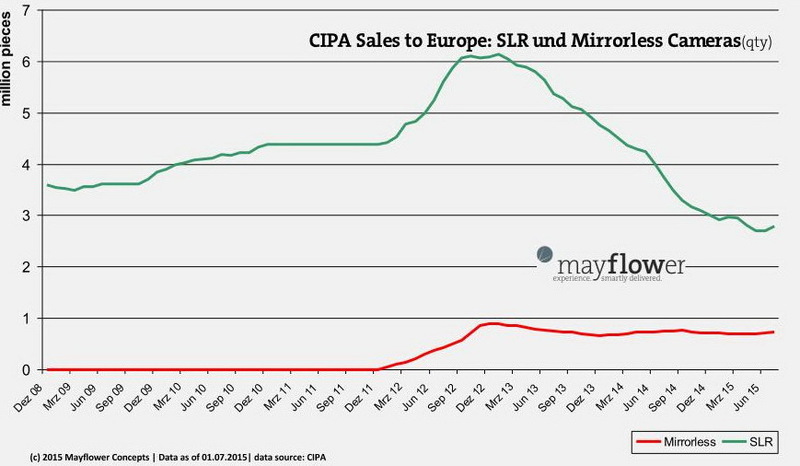 Sales of SLRs in Europe are also experiencing a steady decline. Larger mirrorless cameras, however, remain relatively unaffected. On the flip side, this also means that such cameras have not gained any significant market share over the years. Photographers can argue all day about the superior quality of dedicated cameras, but the sheer versatility of smartphone cameras is unmatched. About 400 million users share or upload content on Instagram at an average of 80 million pictures and videos per day. In the key 14- to 29-year old demographic, about 85 percent say they use their smartphones to share pictures through social media.